Heartfelt is a volunteer organisation of professional photographers from all over Australia dedicated to giving the gift of photographic memories to families that have experienced stillbirths, premature and ill infants and children in the Neonatal Intensive Care Units of their local hospitals, as well as children with serious and terminal illnesses. To create a memory of your baby, Belly Art has a new product Baby Inkless Footprints. 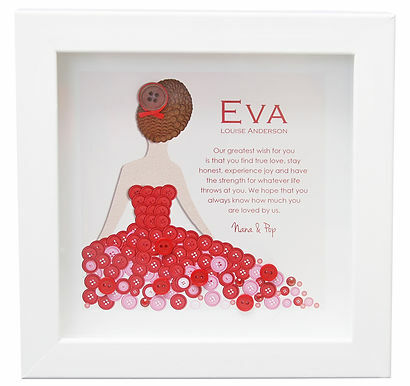 Button Lane create personalised name gifts which combine photographic graphic design with an artistic craft creativity using button prints. Prints can be personalised to remember a precious baby that died. 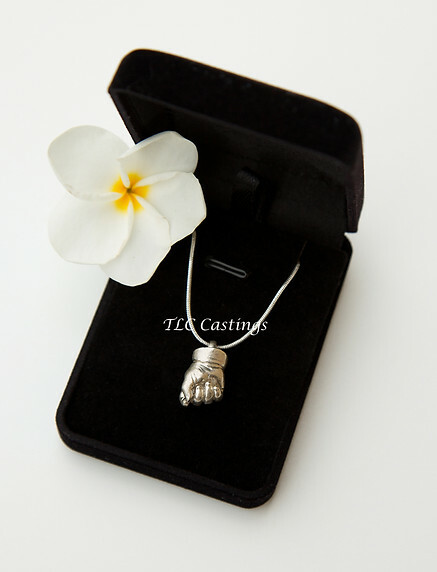 TLC Castings have created a unique process that allows them to transform full sized 3D castings into miniature jewellery pendants/ charms/key-rings. This unique jewellery range is one of a kind to be treasured for a lifetime. Wear it each day, close to your heart for many years to come. Australia wide franchise business specialising in framed baby hand and feet sculptures, fingerprint jewellery and framed childrens memorabilia. Create beautiful cremation keepsakes that encapsulate your loved ones ashes in glass ornaments. Ashes eternalized in glass mementoes. Gorgeous Handmade Picture Dolls of the one u most Wish U Were Here.